Recommendations include a new government agency within the Department of the Interior to oversee the safety and integrity of all offshore energy facilities – both oil and gas production and renewable energy production. The commission also recommends that industry create a new, private-sector entity that will work with government bodies to define best practices and police them. “The public interest will also be served by such an entity, which will encourage excellence in operational integrity and help shape new safety norms and high safety expectations across the entire offshore oil and gas business,” the commission said. While its investigation was detailed and exhaustive, the commission admitted to still being in the dark about some aspects of the disaster. 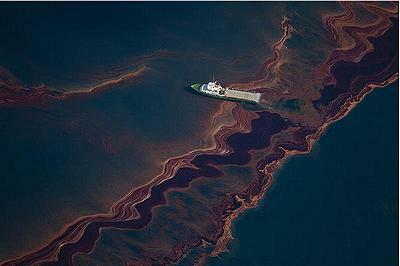 “The damage from the spill and the impact on the people of the Gulf has guided our work from the very beginning,” the commission said. Empasizing the need for a “new, independent” government agency to ensure the safety of offshore facilities, the commission found that “political pressure” and “industry pressure” on the Department of the Interior’s Minerals Management Service led to that agency’s favoring development over protection of human health, safety, and the environment. Shortly after the blowout, Interior Secretary Ken Salazar renamed MMS the Bureau of Ocean Energy Management, Regulation and Enforcement, BOEMRE, and announced a plan to split its responsibilities into three separate offices – offshore leasing, safety, and revenue management. The commission urged Congress to increase the limit on per-incident payouts from the Oil Spill Liability Trust Fund, now capped at $75 million. EPA and the Coast Guard should establish distinct plans and procedures for responding to a spill of national significance, and Congress should enact legislation creating a mechanism for offshore oil and gas operators to provide ongoing and regular funding of the agencies regulating offshore oil and gas development, the commission recommends. 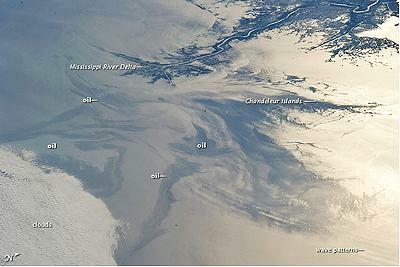 Citing the failure of Louisiana’s expensive and controversial sand berms to contain more than 1,000 barrels of oil before the Macondo well was capped on July 19, 2010, the commission recommends that the Coast Guard establish that offshore dredged barriers generally will not be officially authorized as an oil spill response measure. Senator Barbara Boxer, a California Democrat who chairs the Environment and Public Works Committee, said Tuesday that she is inviting members of the commission to appear before her panel. Hearings before at least four other congressional committees are planned as the commission’s co-chairmen try to persuade Congress to act on their recommendations. 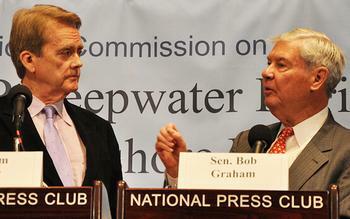 Ranking Member Congressman Edward Markey, the Massachusetts Democrat who led a key Congressional investigation into the BP spill last year and co-authored the first legislation to establish an independent spill investigation, announced that he will introduce legislation reflecting the commission’s recommendations. “Because systemic safety and oversight issues regarding the offshore oil industry persist, if we do not enact reforms, there will likely be repeats of this disaster,” said Markey.